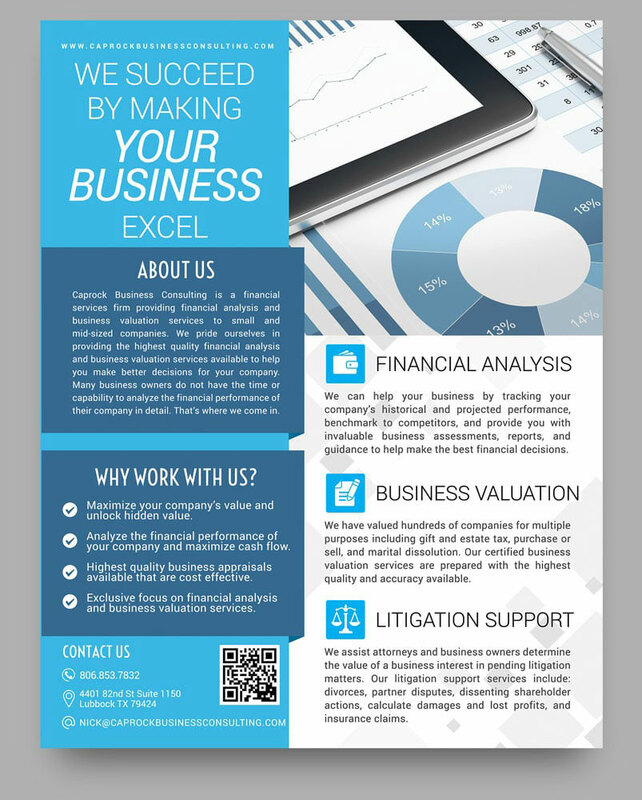 Caprock Business Consulting is a business consulting firm providing business valuation and litigation services throughout Lubbock and West Texas. 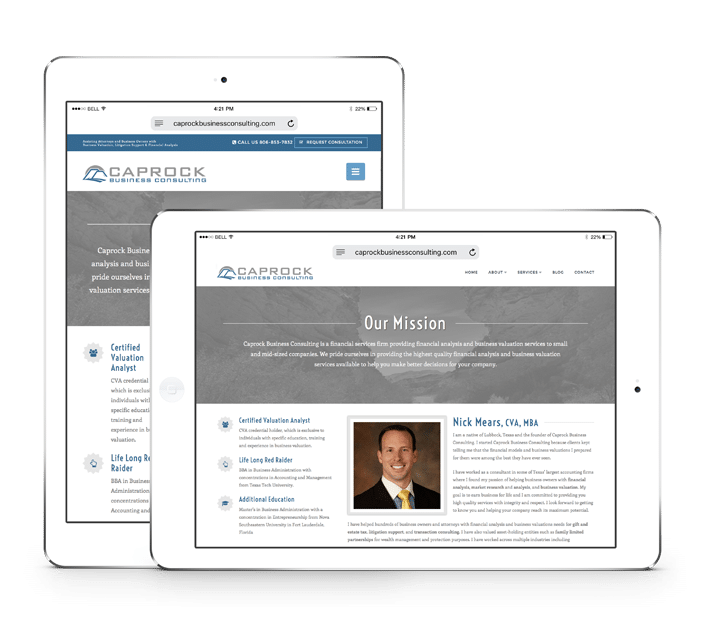 Designs include brand identity, a modern responsive website with animated banners and marketing collateral. 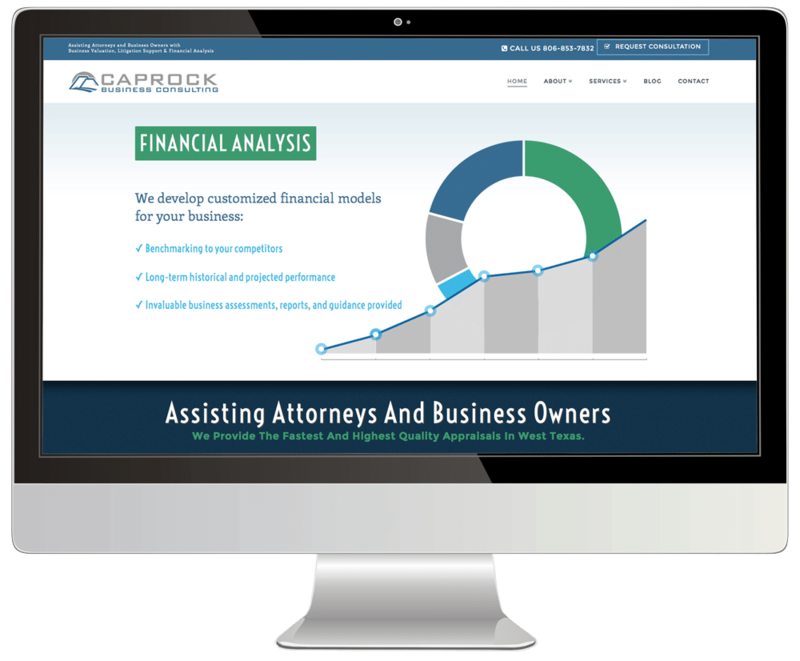 Caprock Business Consulting wanted their website to appeal to small businesses as well as large corporate companies. 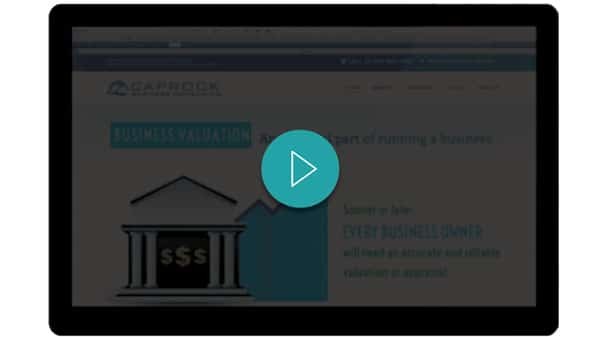 An easy to navigate website was created with animated banners presenting key services and information to potential clients. 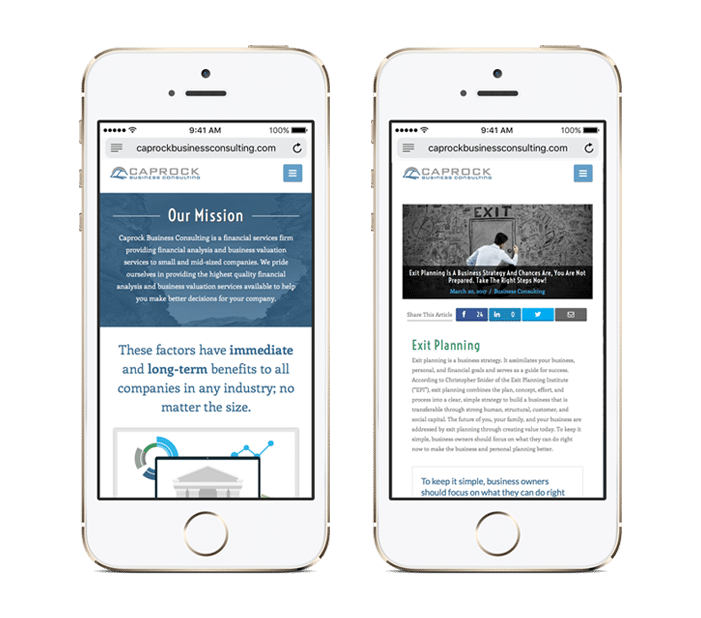 The responsive website retains its visual impact across all devices, from mobile to desktop, providing clear direction to any information a visitor may require. 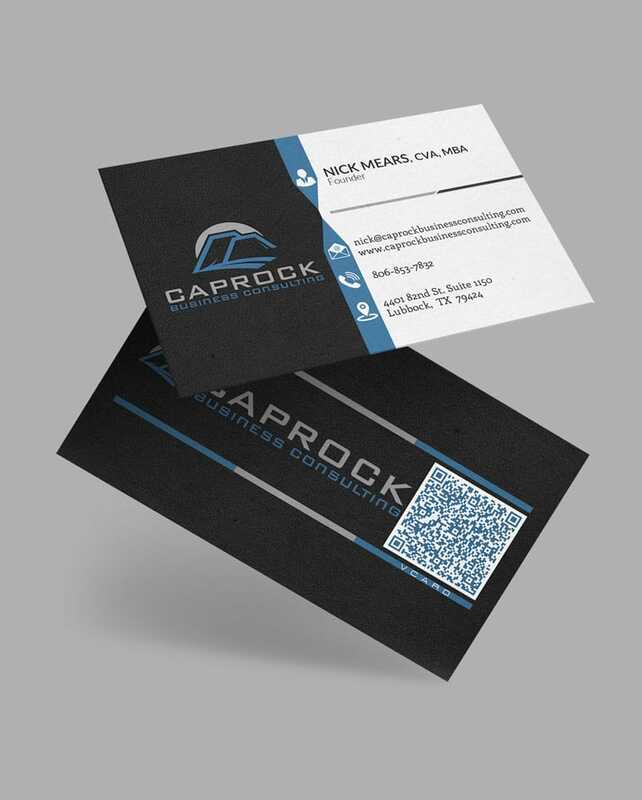 A series of marketing collateral was designed for the company's key services which are handed to prospective clients.